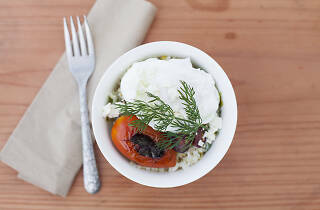 Photograph: Jakob N. LaymanKukoho Rose brown rice with sorrel pesto, preserved Meyer lemon, poached egg and blistered San Marzano tomato at Sqirl. 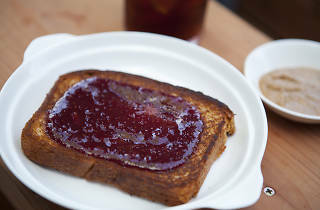 Photograph: Jakob N. LaymanBrioche toast with Seascape strawberries and rose geranium jam and hazelnut-almond butter at Sqirl. 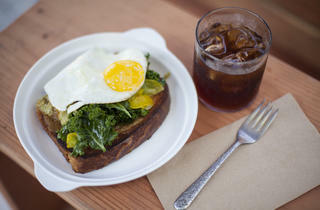 Photograph: Jakob N. LaymanBrioche toast with greens, tomatillo pur&eacute;e, lacto-fermented hot sauce with fried egg at Sqirl. 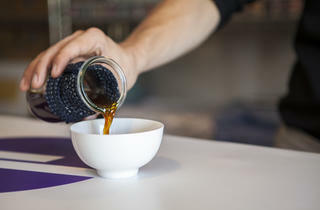 What started as a preserves company is now one of LA's most coveted eateries: Sqirl, a small nook of a restaurant that serves breakfast and lunch made with farm-fresh ingredients. 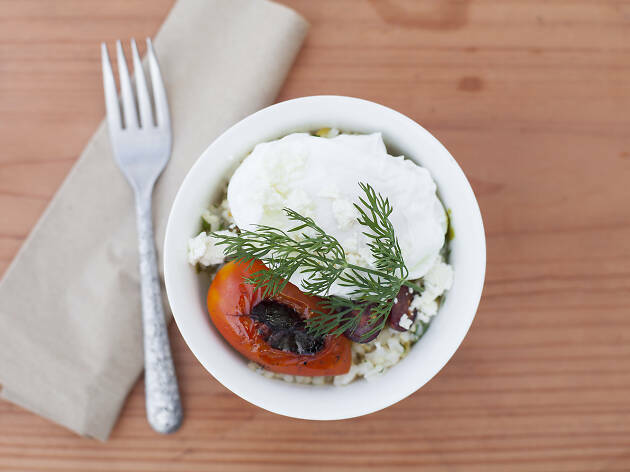 Jessica Koslow is still churning out jams, but this time you can get it spread on thick cuts of brioche toast with Sqirl's house ricotta. 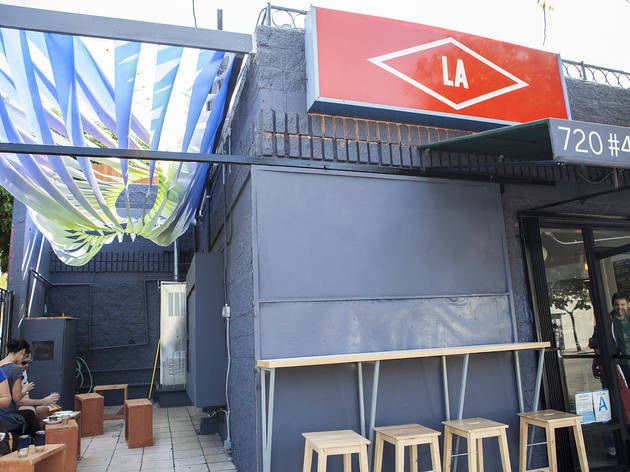 If you're not ordering toast here, though, you're probably ordering one of the rice bowls, filled to the brim with the best ingredients LA has to offer: sorrel pesto and radishes, sheep feta and a poached egg, scallions and cilantro and house sausage. The only downside? 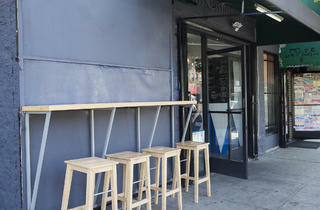 Everyone loves it here, and Sqirl has a monstrous line to show for it at all hours of the day. Maybe bring a book? 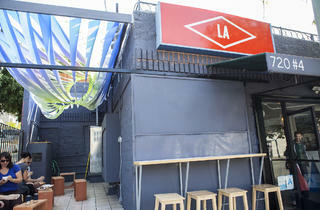 One of the few places in LA where the food is actually as good as the long line around the block would have you assume. That said--be a Los Angeles pro and don't wait in it. Order takeout (assume it might be ready when they say it is or maybe ten minutes after)--and sure, you won't be able to dine in without feeling guilty (even though there will be a ton of spots open at the bar seating inside despite the long line), but you can then dine ANYWHERE in a much more time efficient manner. The Famed Ricotta Toast is listed as Famed for a reason, so go, go, go and don't stop going. 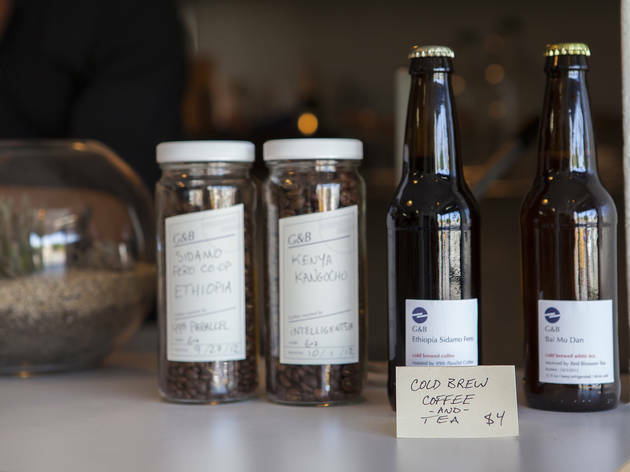 The line exists for a reason -- Sqirl is as good as you hear! Unfortunately the seating (limited and sometimes cramped) and the line (sometimes very long) are pretty frustrating, but the food is amazing. Over everything else, I think that the crispy rice bowl is incredible and one of my favorite local dishes. 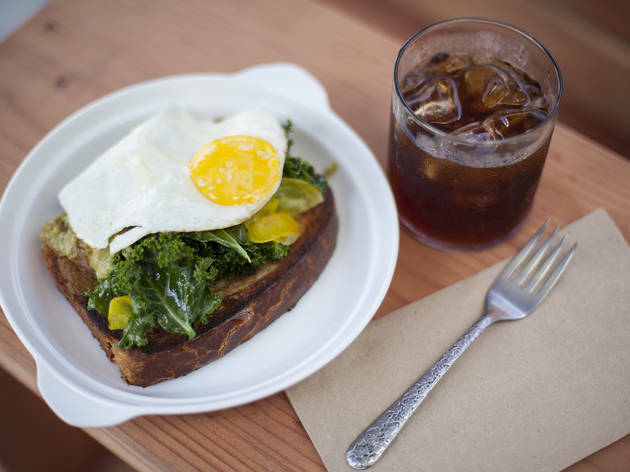 However, the ricotta brioche toast with jam and the sorrel pesto are pretty high ranking dishes as well. If you come during the week or very early on a weekend, you can usually avoid the chaotic line. But even with how busy it gets, it is still worth coming for brunch one morning -- it actually is that good. 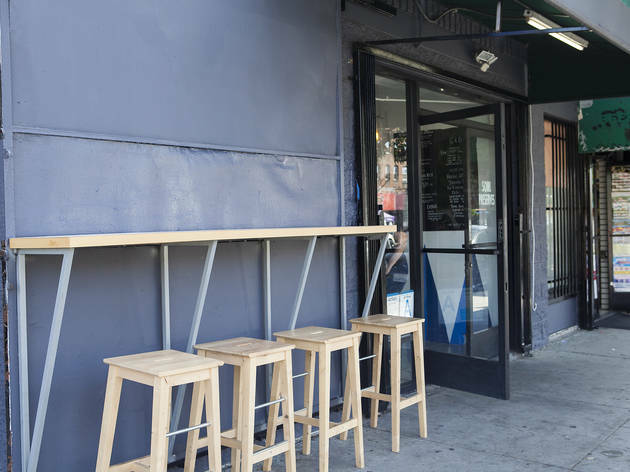 Sqirl is definitely THE quintessential LA/California brunch institution--long lines, mostly outdoor seating and menu that caters to those seeing something healthy and those looking for something incredibly indulgent. While most reviews will rave about the Pesto Rice Bowl,the Crispy Rice Salad with the Works (Egg and Sausage) is where it's at. 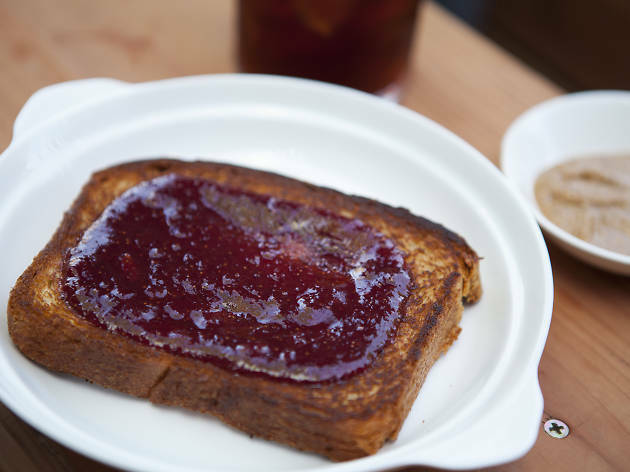 The ricotta toast with rainbow jam (all three of their seasonal jams) is a must try on each visit. While it can be easy to get lost in the menu, don't forget to save room for the pastry case! The Malva bread pudding is excellent. 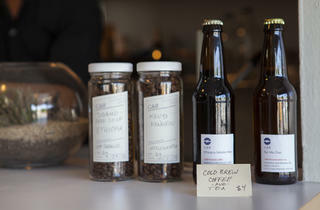 If you want to take a friend from out of town to a classic LA spot, Sqirl is not to be missed. 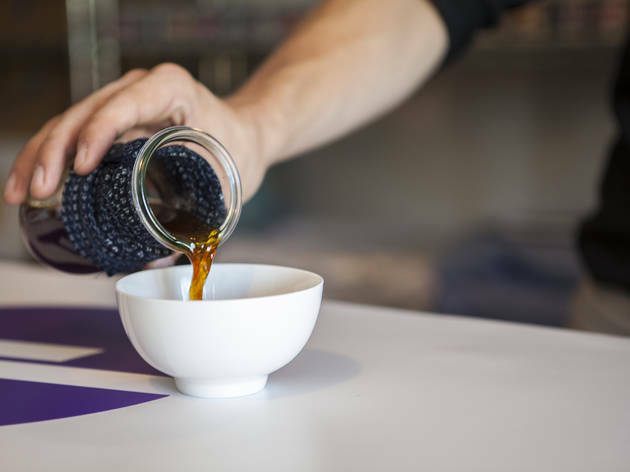 You've heard stories about Sqirl's epic line. But here's a tip: come at an odd hour and beat it! The food is indeed fantastic and will have you feeling pretty good about your choices afterwards. The crispy rice salad with sausage is amazing. I would stay away from the Guittard Chocolate & Hazelnut Brioche Toast. It was like eating a giant scoop of sugarless peanut butter. Definitely order the brioche with jam and ricotta cheese!